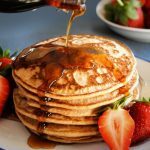 Home » Food Products » 5 Top Vegan Sauces and Condiments! 5 Top Vegan Sauces and Condiments! A vegan dish is easier than people think, with an array of vegetables to blend into rich combinations – especially when you have a vast array of condiments at your disposal for any amount of subtle to heavy seasoning. In fact, so many common brands and cupboard stock are “accidentally vegan”, so thinking intentionally vegan ones mightn’t even be necessary. But, for the flavours you may miss and haven’t located vegan versions for yet, check out our 5 Top Vegan Sauces and Condiments! 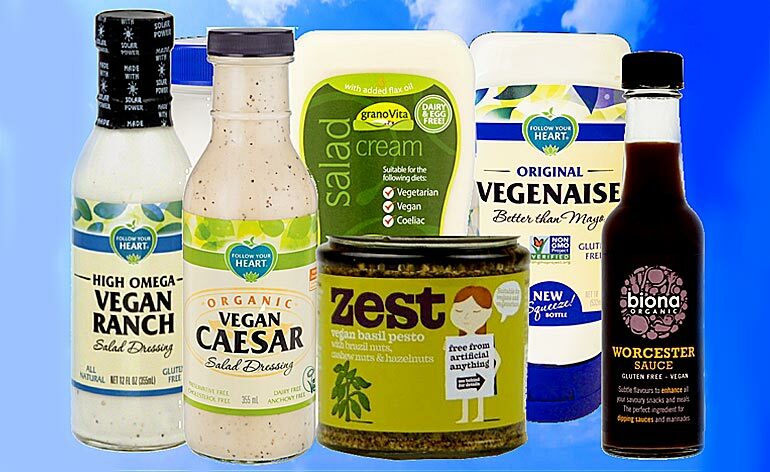 Vegans everywhere rave about Vegenaise by Follow Your Heart, lauded by the company as “Better than Mayonnaise”. Better or not, it’s a very close approximation. Getting a good mayonnaise (which is mainly whipped egg whites) is so difficult, that barely any of them come close. There are several varieties for people who prefer to reduce their soy intake, from pea protein to grape oil. There’s even a sriracha-flavoured one! There are few other kinds of Worcester sauce commonly known, so for vegans who were looking for that Lea and Perrins replacement to add to their cheese on toast, this is the one. A combination of spices, molasses, vinegar and tamarind that is also gluten free and organic. If you’ve found some good vegan cheese, this is the stuff to slosh on it. The company say that the farmers of their raw ingredients don’t use chemical pesticides or herbicides on crops and they don’t grow genetically modified plants. Biona believe in 100% traceability. They also sell a range of healthier alternatives to sweets, cooking pastes and many others. This company crops up again, because they sure do know their sauce! No more balsamic vinegar and olive oil mock-up dressings, this range of creamy vinaigrettes come in a huge variety of flavours. There are about 15 types to date, including Ranch, Caesar, Miso Ginger, Spicy Balsamic Barbecue, Lemon Herb, Creamy Garlic, Thousand Island, Honey Mustard and Bleu Cheese. There are 101 uses for pesto, so it’s unfortunate that it generally contains parmesan. Zest offer a range of sauces and pastes, including a cheeseless pesto. Zest Vegan Pesto is made only from basil leaf with Brazil nuts, cashew nuts and hazelnuts – all nuts often used to simulate that hard cheese flavour. It’s recommended with garlic bread and goes down a treat! With added flax seed oil, this gluten free salad cream has a light vinegar taste. It can be used in a range of sandwiches for a sweeter, tangier version of mayonnaise substitute. A dollop on top of a home-cooked dish can admirably give you just the right balance of flavours. The company specialise in organic, dairy or lactose free, gluten free, and sustainable palm oil products, as well as vegetarian and vegan foods. So, if you’re looking for that extra rich creaminess, extra tang, vinegar or a subtle blend of salt, umami and rich indefinable flavours, all these condiments will give you a delightful taste sensation and enliven your simple salads, meals and snacks!